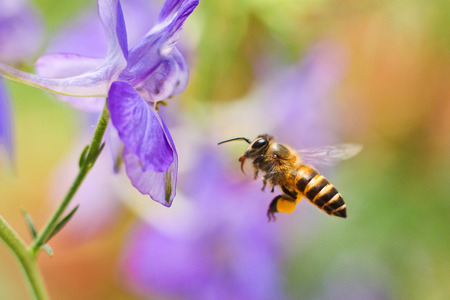 Honeybees are fortunately more than just a pollinating species with declining population numbers throughout the world. They are also some of the more fascinating insects—nay, animals in general—that can be found in nature today, with their eusocial behavior and their ability as fully-realized colonies to create legitimate superorganisms in the form of hives being among their many interesting aspects. Additionally, the honey bee’s anatomy provides unusual facets as well, with a recent study shining a light on this very fact. It is known to entomologists and scientists in similar fields that the gut of honeybees is colonized with specialized bacteria, which help them to digest their pollen diet as well as producing molecules for promoting health. For a study that was recently published the journal PLOS Biology, several researchers, headed by Dr. Philipp Engel with Zürich, Switzerland’s University of Lausanne, uncovered the various bacterial species that perform certain digestive functions within honeybees. The team measured the variety of simple compounds (also called the metabolome) within bee guts. Then, they compared gut metabolomes from bees that contained combinations of bacterial species and those that contained individual species. With this technique, the researchers discovered what these bacterial species each contribute to bee digestion as well as the many strategies these bacteria use in order to co-exist within the bee gut. In particular, Engel’s team identified one of several species from the genus of Lactobacillus, which digests certain plant compounds that are called flavonoids. Flavonoids are plentiful within pollen and were linked recently to mouse and human health via their break-down by microbiota in the gut. Another bacterial species within bee guts, Bifidobacterium asteroides, generated hormone production, with these hormones being able to affect a host’s behavior and immune system. Honeybees, key pollinators in natural environments and agriculture, have declined in numbers in recent decades. Given how their gut bacteria and pollen-rich diets are known to contribute to honeybee health, understanding how different bacteria function could have serious implications for overall colony health.